About 400 people gathered Sunday evening in downtown Eugene under the smoky pink sunset skies for a feast — a thanksgiving of sorts — to show gratitude for farmers in Lane County. 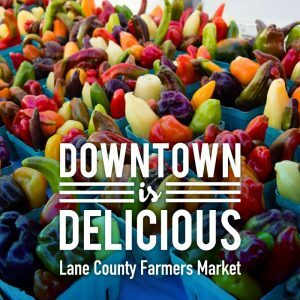 Farmers and community members alike joined at linen-covered tables set up on West Park Street for the third annual Farmers Market Feast, started in 2015 for the 100-year celebration of Eugene’s producers market, and continuing ever since. “It’s a chance for the community­ to thank a farmer. They sell the ingredients to us all year long, but it’s nice to share a meal with them,” market director Angela Norman said. 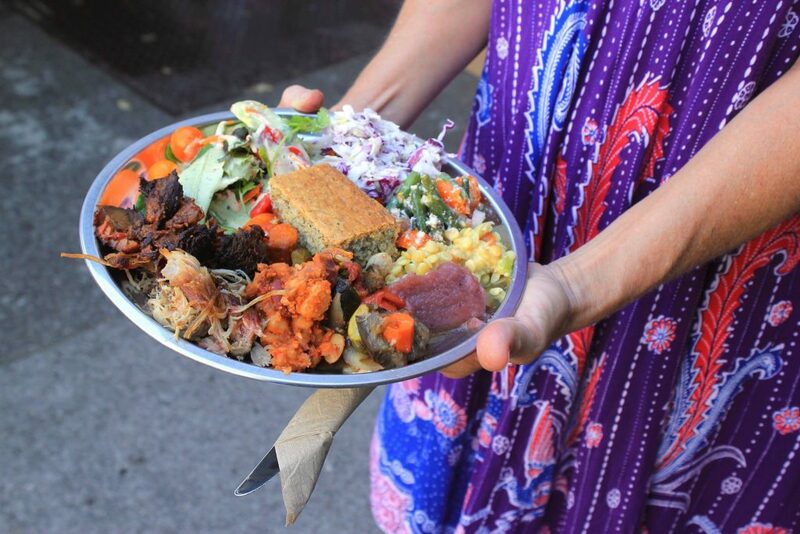 While jazz music played in the background, and fresh sunflowers decorated each of the tables, diners from all over the area took seats side-by-side to feast on roasted pig, salads and dessert, along with vegetarian and gluten-free options. Wine, fermented kombucha tea and ciders were available for purchase. The dinner cost $35. Participants of the state’s Supplemental Nutrition Assistance Program (SNAP) could eat for $10. Earlybirds who bought tickets ahead of time paid $25. Farmer-vendors of the market each were given two free tickets to the dinner party. Dave Biancalana of Biancalana Pork Growers, a Pleasant Hill pig farm for the past 10 years, served up the roasted pig — head included. The pig was dressed like a farmer in overalls, a red gingham bandana and a straw hat. The pig served Sunday weighed 145 pounds. Biancalana also served up 145 pounds of brisket. Biancalana, who has sold pork cuts at the Farmers Market for the past six years, said a roasted pig can cost anywhere from $450 to $1,800, depending on how many people it’s serving. He said he has 60 to 80 pigs on his farm. A dance floor was set up, and two bands provided live music. The Dana McWayne Quartet performed for the first half of the evening, and the Grande Ronde String Band played the second half. The dance floor, Norman said, mainly was for the string band, but that didn’t stop children and others from stopping by to take a spin around. Lee Miller, a farmer of Earth’s Rising in Monroe, was the first to hit the dance floor in his tie-dyed pants. He said he has been a member of the market for 33 years. He grows culinary foods as well as medicinal plants. Tom Lively, who farms on 1½ acres off River Road, said he has been a member of the market since 1980. Lively Organic Farms, Lively said, is best described as a urban suburban farm. Specializing in peaches but growing other produce as well, Lively donated 20 pounds each of tomatoes and eggplant for the dinner. Lively also grows special melons, plums and figs. 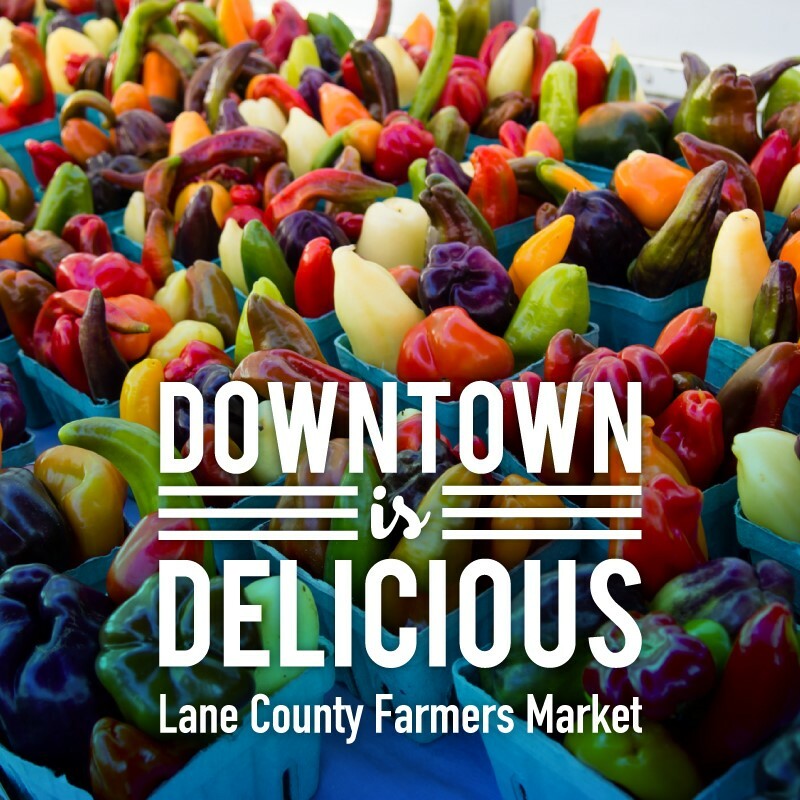 The market runs every Saturday through Nov. 11 in the downtown Park Blocks, then it moves to the Lane Events Center for the winter.